Akshya means immortal. Tritiya stands for the third day of the lunar month and is thus considered auspicious. It is believed that if you start a business this day and it will prosper, and there will be no stopping you. 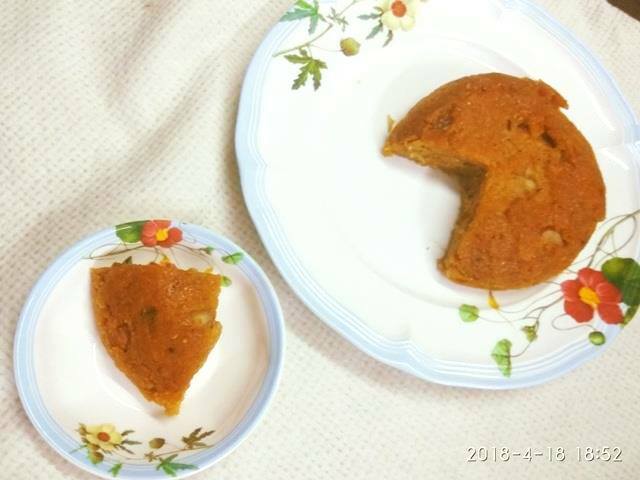 Here's the super simple recipe of chenna poda- a traditional Odya sweet that has been modified according to my preferences. 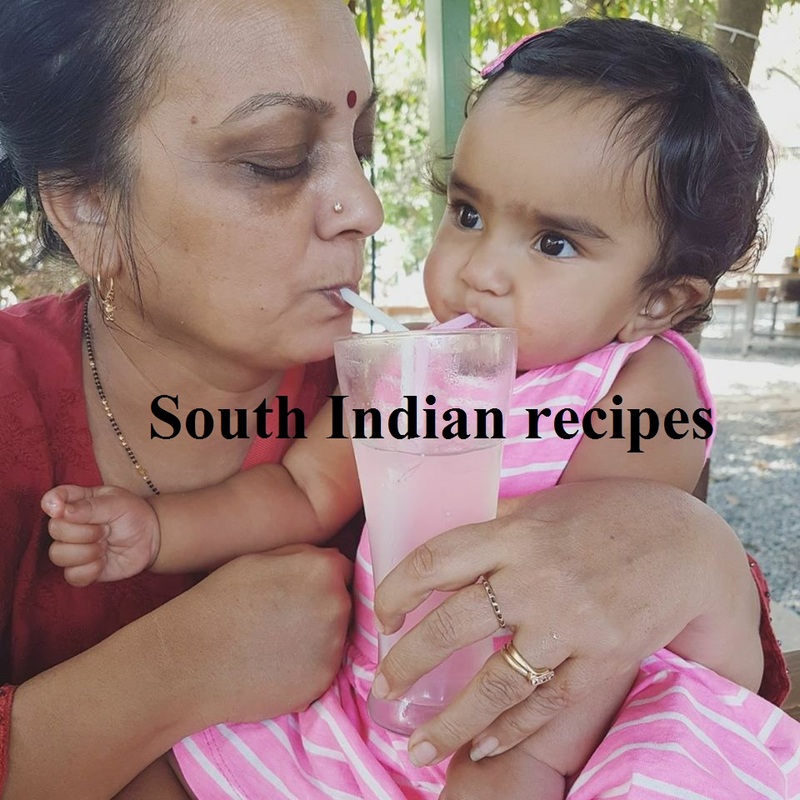 Chenna means paneer or cottage cheese made from curdled milk. The typical Odiya sweet is traditionally baked for several hours until the crust becomes caramelized and the end product is pure bliss. Since it uses paneer or cottage cheese, this is bound to be a rich traditional sweet, which is calorie dense but melts in the mouth. The minimal amount of semolina gives it a base while nuts add a crunchy feeling. To relsih the real taste of Odisha, a bite of one chenna poda slice is enough. 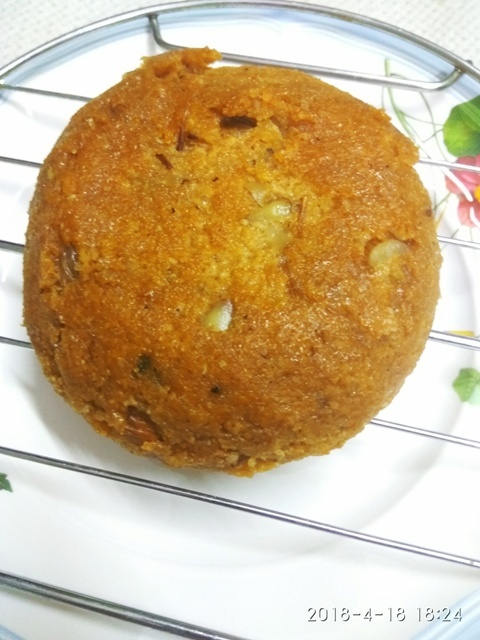 The recipe is believed to have originated out of an experiment on the part of Sudarshan Sahoo - a sweet shop owner., who left sugar and cottage cheese in an oven overnight and was surprised to find the result - a trich delicacy with a beautifully caramelized base and cust. Thereafter the Odiya sweet got viral and spread to every household in Odisha. If you have paneer handy, well and good. Otherwise, you need to make chenna from milk. Here's the instant 5-minute paneer recipe. In my case, I had a week's cream/malai that I always keep a stock of for making ghee. I never buy clarified butter or butter outside. Since we do not consume much of it. A major part goes for puja and the remaining is used in my cookies. Unlike old days when I used to relish dal with ghee or a dollop of ghee over rice on my hubby's side, these days the story is different. We have restricted our consumption of ghee, since it is laden with trans fat, which can accumulate in your body and can cause blockages and even heart attacks. But a little is still good for consumption. Moderation is the key. Here's the instant OPOS ghee recipe. I always follow this way of making ghee at home now. Whip up malai until butter separates from the whey or lassi. Keep the stock of lassi in the cooker to make paneer. You do not need to add anything to it. It is already curdled and will give you super soft paneer in an instant. 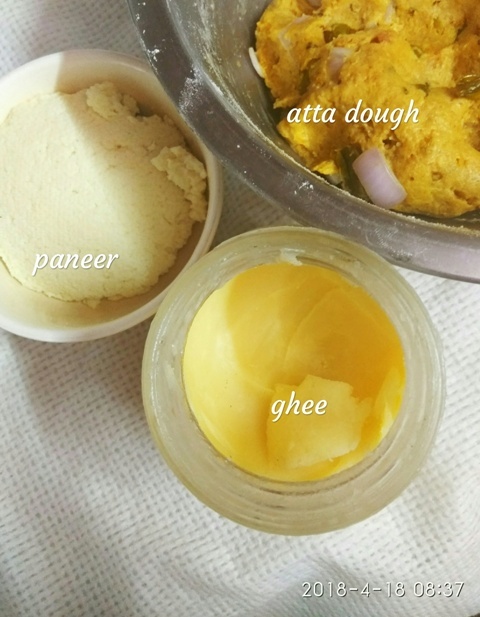 For the 5-minute ghee recipe, you can follow OPOS chef video or check this link here. Anyway coming back to the instant chenna poda recipe. 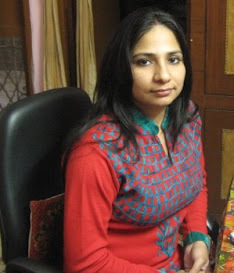 I have followed one pot one shot technique of Rama Krishnan - the OPOS mentor, who runs OPOS Support Group and is a bestseller of OPOS cookbooks. OPOS is a trademark whose rights are reserved with Rama Krishnan. Once you have the paneer handy, start pressing it with hands. Next add jaggery powder or sugar, whatever is available. 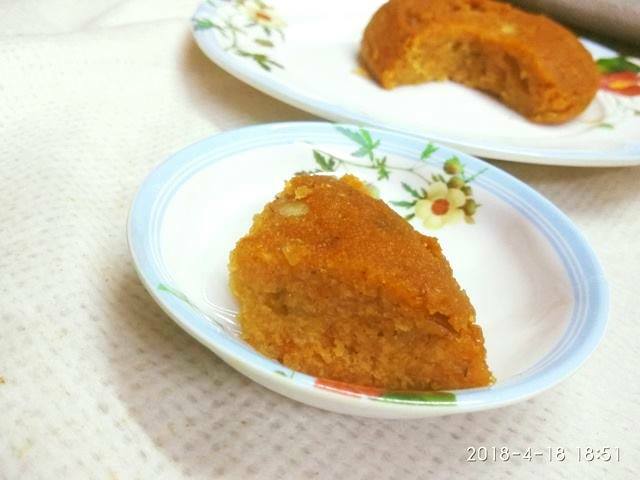 I have used jaggery powder. Again press well and mix both ingredients. Add semolina and cardamom powder and press the mix gently until it all looks incorporated - just like you do with rasgulla dough. 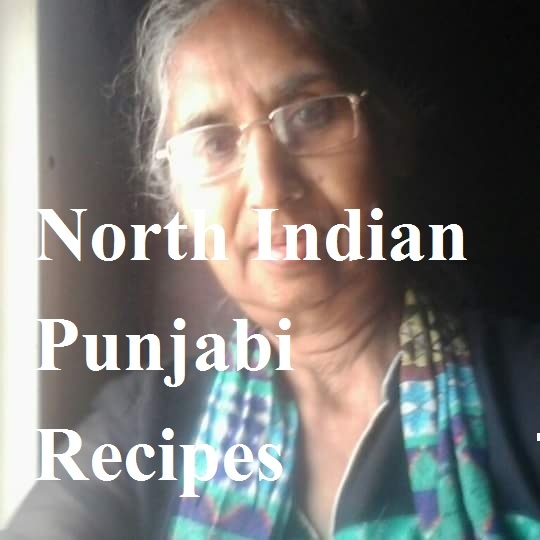 If you want to make instant sponge rasgulla, here's the recipe. You can even do this in a mixer/grinder/food processor. Last, add milk or whey. I have added milk, but traditionally, they use whey - that is, leftover water from milk when it curdles into paneer. I had already used the whey for kneading chapati dough. Keep mixing until everything looks well combined . Add chopped nuts and mix again. Take a 2 or 3-liter pressure cooker. 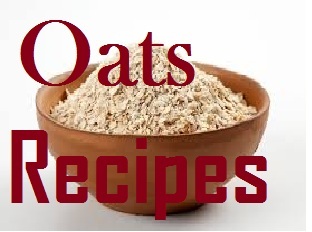 Add 1.5 cups of water to it. Grease a steel bowl or baking pan and pour the batter into it. Remember, this will not be like a typical cake batter. It will be quite thicker in consistency. Place this bowl inside the cooker -as pot in pot (PIP). Cover the inner vessel with a foil or plate. I ued a thali. Cover the lid with weight/whistle on. Pressure cook on a medium flame for 12-15 mins. While the typical chenna poda recipe takes around 40 mts, mine was done in 12 mts. Keep a timer/stopwatch on to ensure you do not overbake the rich delicacy from Odisha. ELSE, there is a risk of burning it. Allow the pressure to release. 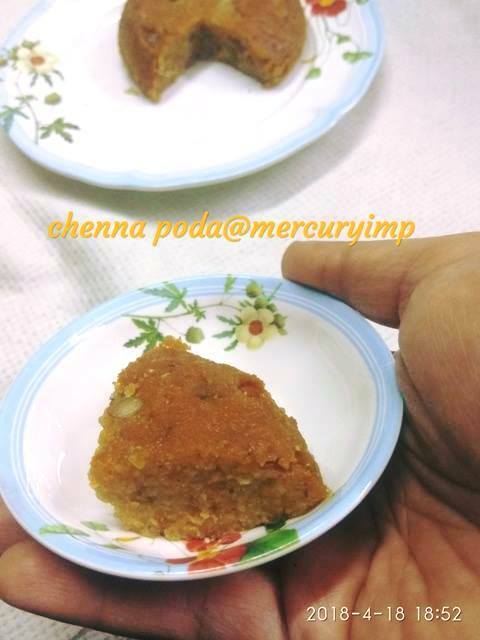 Do not remove chenna poda before it has cooled down, else, it might crumble. Allow it to cool down and then slice into pieces. This is one of the yummiest cheesecakes available. I must say it was an experiment that literally blew me away with its heavenly taste. 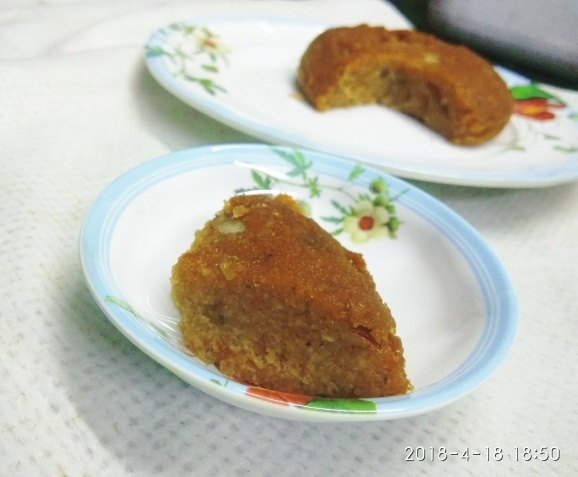 While offering it to mom, I said, would you like to taste a sweet from Odisha? She said, oKAY. When she did taste it, she said it's a cake. I was so happy hearing her words, since she was unaware of what has gone into making instant chenna poda. I said it uses only paneer and suji, and she was seriously surprised. Happy me that I could make a delicacy from Odisha on Akshiya Tiritiya - a day celebrated with great fervor and excitement in Odisha at my in-law's place. My MIL is an amazing chef, who knows it all about the Odiya culinary world. So what are you waiting for? This yummy no raising agent cake or sweet deserves a trial once? Get your cooking arsenal ready to whip up a golden beauty in your kitchens today. Are you ready for a havenly bite? Gonna try it. So quick and healthy. One doubt Ravneet.. If we keep weights on.. We may get whistles.. Is it OK?